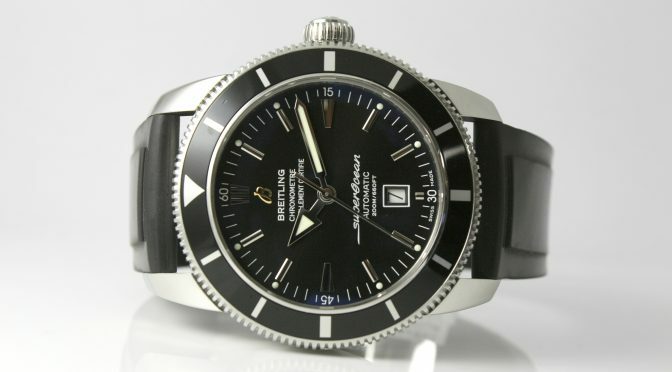 For this deal of the week, we have a handsome Breitling Superocean Heritage 46 in very good condition. This diver’s watch, water resistant to 200 m /660 ft echoes the functional and elegant design of Breitling’s legendary 1950s Superocean. The black unidirectional rotating bezel matches the black dial.The watch includes its original box and papers.